If you’re thinking of designing a luxury kitchen, you likely have questions. And, happily, the kitchen experts at Clarke, New England’s Official Sub-Zero/Wolf/Cover Showroom and Test Kitchen, have answers. Sure, you may not know your knee from your Neolith, or that induction cooktops are red-hot right now, but you will after spending the day (or a few hours) at Clarke’s Ask the Experts drop-in event September 29 at their three locations. This special day was designed to help homeowners gain “Kitchen Confidence”—and loads of inspiration!—as they tackle a kitchen redesign, remodel or new build. Experience demos of current cooking technologies and sample the results! 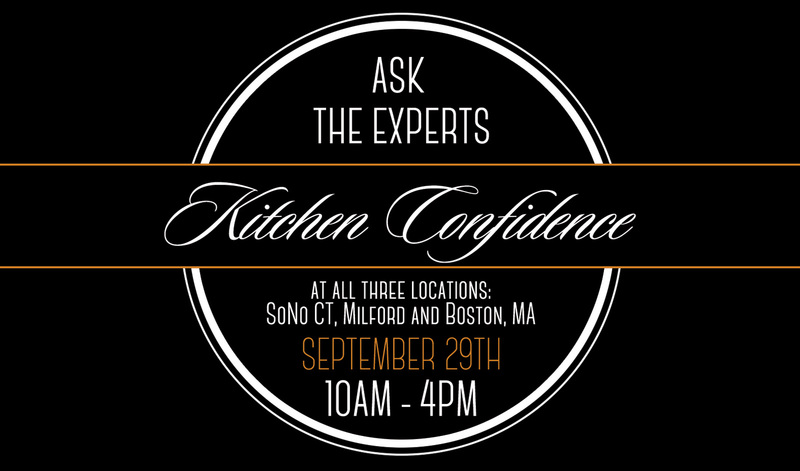 The Ask the Experts event runs from 10am-4pm at the Clarke Showrooms in Milford, Massachusetts and SoNo, Connecticut, and at Clarke 7 Tide in the Seaport District. Pop in for thirty minutes or stay all day to become a kitchen connoisseur.